A CURRENT MCRRC MEMBERSHIP is REQUIRED to participate in this program. Please note that membership is NOT included in your program registration. PRIOR TO JOINING this program, you must become a member. If you are unsure if you have a CURRENT MCRRC Membership, please contact office@mcrrc.org for assistance. Otherwise, please follow this link to become a valued member. This is a time-based program that uses walking and running intervals at a comfortable pace that will either help you finish your first 5K or help you to maintain your mileage to complete an early Spring 5K or 10K (depending on your pace). All shapes, sizes and skill levels are welcome! Participants will have a choice of being a member of one of five coached teams: Purple (walking), Green (run/walk at greater than 13 minutes per mile 5K pace), Red (greater than 13 minutes per mile 5K pace), Yellow (11-13 minutes per mile 5K pace) or Blue (faster than 11 minutes per mile 5K pace). The Red group may be split if numbers and pace differences so require. The training sessions build up gradually to prepare walkers and runners for an early spring race while maximizing fun, meeting new friends, and preventing injury. Those with a consistent pace of 12 minutes per mile or faster will be able to comfortably complete a 10K at the end of the program if this is a goal of yours. Everyone will be able to complete a 5K by the end of the program. Remember, everyone starts somewhere. Prerequisites: MCRRC membership is required for everyone except Potomac Community Resources members & City of Rockville residents. All participants must be at least 18 years of age. Membership is not included in the price of the program. 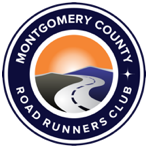 If you are not a current MCRRC member & would like to join, please click here prior to the first workout! Cost/Premium Info: The cost of the program is $45.00 for MCRRC Members or $55 for City of Rockville residents who are not MCRRC members. Included in the fee is a training program premium. Group Communications: We will use the Winter5K Program Google Group to facilitate communications. Everyone will be required to join this group to participate in the program. A link to the program’s group will also be provided in the confirmation message that you will receive after joining the program. When joining any of these groups, please include your first and last name in the “comment from user” field so that your membership to the group can be verified. Participants are also required to join MCRRC-Info, the club’s listserv for delivering important club information including race announcements or changes, track closures due to weather or other issues. Target Race: MCRRC’s Piece of Cake 5K on Sunday, March 24, 2019. Experienced participants are also encouraged to try the Kemp Mill C(hill) 5K on Sunday, February 17th. Travisha joined MCRRC in 2011. She has been a participant in many of the club programs. In 2014 she started coaching. Since that time, she has coached in the Beginning Women Runners, 10K Program, and the First Time Marathon Program. Her dedication and excitement about running is what she is bringing to the Winter 5K Program. Travisha is looking forward running with you. Keith joined MCRRC in 2001 and has run his share of races from 5K to marathon over the years. He started coaching MCRRC’s 5K Walking Program several years ago and always looks forward to working with this program. Details: Come dressed to walk or run and bring water! Pace Group Information:Based on your registration input, you will be assigned to one of five coach-led pace groups: Purple (walking), Green (Run/Walk), Red (greater than13 minutes per mile 5K pace), Yellow (11-13 minutes per mile 5K pace) or Blue (faster than 11 minutes per mile 5K pace). You will learn to walk/ run steadily at your group’s assigned pace. If, after a few workouts, you feel the pace of your group is too fast or slow for you, let us know and adjustments will be made. Workouts: Tuesdays @ 6:45 PM; Gaithersburg High School– long slow runs/walks on the track. We will warm up together, then workout within our assigned pace groups. Remember to always bring water. Saturdays @ 8:00 AM; varying locations. The first one will be on January 12, 2019. Once you have registered for the program, we will email you the necessary information. The Saturday workouts help build both endurance and speed by alternating running or faster walking with walk breaks. We will run by time, not distance, so that everyone finishes together. Again, always bring water. Communication Methods: We will use a private, online group to facilitate communications. Everyone will be required to join this group to participate in the program. Instructions on how to join this group will be provided by the Program Director. Participants are also encouraged to join MCRRC-info , the club’s listserv for delivering important club information including race announcements or changes, track closures due to weather or other issues, etc. When joining any of the Yahoo groups, please include your first and last name in the “comment from user” field so that your membership to the group can be verified.